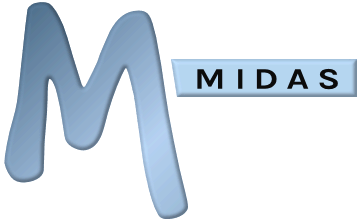 MIDAS Lite was a "cut-down" edition of the full MIDAS scheduling software aimed at smaller organizations. It was limited to a single user account and up to ten venues (rooms/bookable spaces). It also didn't contain many advanced features such as invoicing, statistics, and public booking requests, which the full edition had. As of 1st August 2012, when MIDAS v4 was released, we no longer offer a separate "Lite" edition of MIDAS. Instead, our new pricing structure introduced along with MIDAS v4 means that customers now have all the features of MIDAS starting at previous MIDAS Lite prices!